Doukhobor men pose at he communal brick factory on the banks of the Slocan River in 1914. The image appears in Rita Moir's fascinating new book, The Third Crop, published by Sono Nis Press. Photograph courtesy of the Doukhobor Discovery Centre. The photographs were shoved inside shoeboxes, hidden away in archives, glued to family albums held together by string. When Rita Moir searched for unpublished images to tell the story of British Columbia’s Slocan Valley, she set off scavenger hunts in private homes and public institutions. The search uncovered many treasures, gathered in The Third Crop (Sono Nis Press), an elegantly-designed book rich in detail about a valley unlike any other in the province. 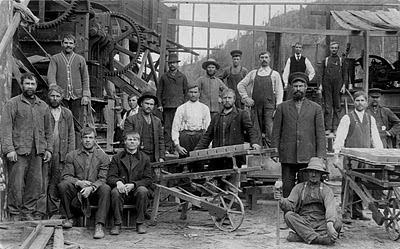 Here are unsmiling Doukhobor men at a riverbank brickyard, some looking as though they’ve just arrived from the Russian steppes. 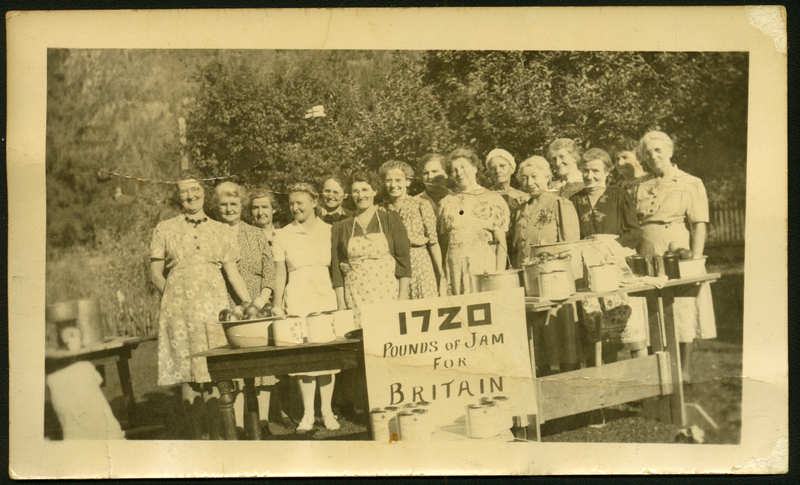 Here are the proud women who have made 1,720 pounds of jam, a donation from their peaceful valley to war-ravaged Britain. Here are Japanese-Canadians building their own uninsulated housing at an internment camp at Lemon Creek. Here is a Mrs. Woyna holding kielbasas at the general store in Appledale, where a box of Crisco shortening costs 30 cents, while a tin of oily pilchards went for 16 cents. Here is John Avis, that kidder, performing a precarious handstand atop the gabled roof of the new schoolhouse. Here is the Clever Block at 115 6th Ave. in New Denver, an address shared for a time by a mortuary and a meat market. Here are miners blasting rocks, children dancing around a maypole, hunters with cougar pelts worth a bounty of $20 each. Here are three First Nations paddlers in a pine-bark canoe shaped like the giant sturgeons that haunt the local lake. The Slocan Valley is the ancestral home of the Sinixt and Ktunaxa peoples and later a settling place for waves of immigrants, including those fleeing Czarist repression, or the limited future of working in a British mine. 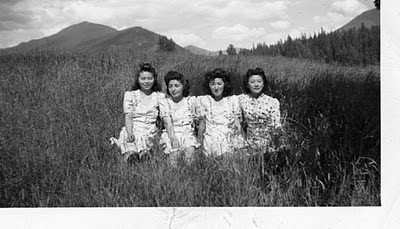 The valley has long attracted exiles, whether by choice (the pacifist Doukhobors), or by force (interned Japanese-Canadians civilians). Later still, some came to escape an unpopular war in Asia, as well as the alienation of modern urban life. Ms. Moir has lived in the valley for 36 years, making her “a relative new comer” in her words. “I want to show how all the cultures here in their time have contributed to the ancestry of place, of who we are now,” she said. 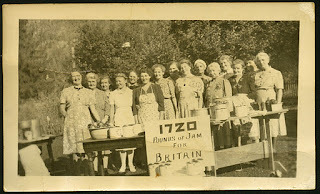 Slocan women with jam for wartime Britain. This is the fourth non-fiction book from Ms. Moir, who won the VanCity Book Prize and the Hubert Evans Non-Fiction Prize in 2000 for Buffalo Jump: A Woman’s Travels. She arrived in the valley at age 23 in 1975, taking a job as the live-in caretaker for the local community centre. First, though, she had to build a log cabin next door that would be her home. Soon after, she got hired as a reporter at the Nelson Daily News. New owners from Eastern Canada were soon ordering editorials be published with which the local reporting staff took exception for factual inaccuracies. In time, Ms. Moir and another reporter, Jim Sinclair, now the president of the B.C. Federation of Labour, were forced from their jobs. Their antagonists were newspaper baron Conrad Black and right-hand man David Radler, both of whom wound up doing prison time, a downfall for which she has little sympathy. Some years ago, Ms. Moir salvaged bricks from a torn-down chimney. She even carted some with her when she moved to another home in Vallican, using them to construct an outdoor fireplace. As it turns out, the century-old bricks are from the riverside Doukhobor brick factory featured in the photograph in the new book. Four young women take a break while working on a family farm in 1946. An internment camp for Japanese-Canadians was established at Lemon Creek in the Slocan Valley. After the war, the residents were forbidden from returning to the coast. I can't seem to view the other images you refer to...can you help me figure this out? I am most interested in the old schoolhouse in New Denver and any old photos of this area.